Emma Macorison (pictured left) pays homage to Alan Johnson who resigned as shadow chancellor yesterday. She spent the last six-months shadowing the MP on the Operation Black Vote Parliamentary Shadowing Scheme. Yesterday Alan Johnson (AJ) resigned as Shadow Chancellor, a post he has held since Ed Miliband appointed him in a surprise move, as it was widely anticipated that Ed Balls or Yvette Cooper would get the job. Presumably Ed felt ‘the affable post man’ would provide an effective contrast against the Eton educated former Bullingdon club member, George Osborne. Alan was a vocal supporter of Ed’s older brother David in the leadership contest; so having backed the wrong horse would he be punished by being moved to a lesser shadow brief? This would have been unpopular with both the PLP (Parliamentary Labour Party) and the party membership, as Alan is a hugely popular figure in the party, well liked by Blairites and Bennites alike. The only conceivable move, surely would be a lateral one to the Foreign Office? I think Alan was as surprised as anyone else when he was appointed Shadow Chancellor. I spent a day shadowing him at the Labour Party Conference a few weeks before the reshuffle and asked him where he thought he might end up? I joked that if he was moved anywhere but the Foreign Office I would stage a protest by dressing up as Spiderman and climbing onto Ed’s roof, never even considering the Treasury as an option. The next shadowing day was spent with Alan in his constituency, following his appointment to shadow chancellor, and I congratulated him on his new role with the very witty gift of a calculator. He quipped that the brief may turn out to be a ‘poison chalice’. After delivering a devastating blow to Clegg “he changed his mind on the deficit between the ballot boxes closing and the doors to his ministerial car opening” he went on to argue that the cuts were too quick, too deep and could end up stifling the economic recovery. Well, the man who joked that he would need to read an ‘Economics for Beginners’ primer clearly knows more about Economics than Osborne. Since the CSR we have seen worrying levels of inflation, increased pressure on the Bank of England to raise interest rates and youth unemployment reaching a record high of 1 million (all before the actual cuts even bite). Since then there has been high profile differences of opinion with Ed Milliband on tax – namely the 50p rate and graduation tax. But all the polls show, that he is slowly winning credibility on the economy in the eyes of the public. Latest opinion polls show the public’s views on the austerity cuts have changed since the CSR, no longer feeling they are been carried out in a fair or progressive way. Then there was *that* National Insurance gaffe, which provided Cameron with one of his best ever lines at PMQs “We’ve ended up with a shadow chancellor who can’t count and a Labour leader who doesn’t count” ouch! So, in light of all this, some may argue that AJ’s resignation may be timely for the Labour party and Ed Miliband's fragile leadership. Social networks and the blogosphere are already abuzz with talk that Ed Balls will be feared by Osborne at the dispatch box, and none can dispute he has a far superior knowledge of Economics than AJ. He may be more successful in winning the argument on the deficit, on telling the public that there is an alternative. But nobody can talk fluent human like AJ. The loss of Alan Johnson from the front bench will create a void, not only because he is a fantastic communicator and well liked by the public but because they don’t really make politicians like AJ anymore. Raised by his sister on a London council estate, he left school at 15 with no qualifications. He worked as a postman for nineteen years before becoming a full time union official and then the general secretary of what was the Union of Communications Workers before being elected as the Member of Parliament for Hull West and Hessle. On both sides of the house, the frontbench is made up almost entirely of Oxford educated, former special advisors from very similar backgrounds. With little life experience outside of the Oxford student union and Westminster Village, it’s no wonder the modern day career politician is often accused of being out of touch and unable to relate to the very people they are supposed to represent. More than his impressive back story, I look to AJ as a political hero because over the last year, when I’ve bombarded him with questions about his life and his career the real twinkle in his eye hasn’t come from regaling me with tails of the gilded offices of state he has held, he actually becomes the most animated when he talks about his constituently work and the people he represents there. Despite effortlessly rising to the very highest ranks of British Politics, Alan has never forgotten the very people who put him into Parliament. And as a working class, mixed race woman, who grew up on a Council Estate and isn’t University educated – I know that if I ever make it onto those hallowed green benches I am standing on the shoulders of giants which include Bernie Grant and Oona King who kicked open the doors to Parliament and kept the open for subsequent BME politicians, but also on the shoulders of Alan Johnson. As I told him once, after John Lennon – he is my second favourite working class hero! Submitted by Yinka Oyesanya (not verified) on Tue, 12/07/2011 - 18:11. "Alan was a vocal supporter of Ed’s older brother David in the leadership contest; so having backed the wrong horse would he be punished by being moved to a lesser shadow brief?" Alan Johnson - according to the shallow minded decision makers in New Labour - qualifies for less harsh treatment or punishment by virture of his racial background. A complete disparity in the treatment accorded to Diane Abbott who was completely left out despite challenging for the leadership of this very small minded political party called New Labour. Alan Johnson was too scared to challenge for the leadership. When you think about it, Alan was the Home Secretary when the hacking business was going on by various newspapers. At no stage did he look into the matter or ask for an investigation because of what New Labour stood to gain out of the Sun Newspaper's vittriolical support. "And as a working class, mixed race woman, who grew up on a Council Estate and isn’t University educated – I know that if I ever make it onto those hallowed green benches I am standing on the shoulders of giants which include Bernie Grant and Oona King who kicked open the doors to Parliament and kept the open for subsequent BME politicians, but also on the shoulders of Alan Johnson. As I told him once, after John Lennon – he is my second favourite working class hero!" Gaining inspiration from Bernie Grant and Oona King is a great idea. Mapping your own path and genuinely pursuing worthy causes on behalf of the people who voted for you in the duplicitous world of British Politics would, in my view, be the best way forward. Great leaders are those who make the most unpopular decisions now, that turn out to be right in the long run. British Politics hasn't had that for a while now. At best, Tony Blair operated like a crooked lawyer and David Cameron is currently operating like a dodgy travelling sales man. Black and Minority Ethnic politicians have to up their game and, have to stop accepting menial posts in any of the government ministerial offices. DIANE ABBOTT AND OTHER MINORITY ETHNIC BRITISH CITIZENS IN PARLIAMENT CANNOT CONTINUE TO BE OVERLOOKED FOR TOP AND KEY DECISION MAKING POSITIONS IN BRITISH POLITICS! Alan Johnson: True New Labour. Submitted by Josh (not verified) on Wed, 13/07/2011 - 21:15. Diane Abbott can hardly be described as 'working class', given that, from what I have read, she has always held down a white-collar job at some time or another. Alan Johnson is a man of much greater experience, understanding many aspects of society because his life and experience has revolved around such things. Orphaned at 12, left school at 15 to work average jobs etc. His desire for social improvements and self-described 'marxist' roots stem from the hardships that he has faced and the experiences that he has had. I could say with utmost confidence that Alan Johnson is more professed in the ways of Labour politics, including the representation of realistic desires held by most people in the country, than Diane Abbott could ever claim to be. I am truely sorry that you feel as if Health is not an important part of society. I am assuming you believe that fiscal controls are more important. I shall give you this question: How would we be able to spend money and invest in prosperity if everybody became ill? Perhaps the important matters of goverment, state-building and social development are just too boring for you. Submitted by Yinka Oyesanya (not verified) on Mon, 18/07/2011 - 08:56. "Diane Abbott can hardly be described as 'working class', given that, from what I have read, she has always held down a white-collar job at some time or another." Neither are New Labour and the decision makers within their fold. Your title is: "Alan Johnson: True New Labour." This can be seen as a contradiction don't you think? "Alan Johnson is a man of much greater experience, understanding many aspects of society because his life and experience has revolved around such things." If this is true, why - as Home Secretary under the disgraceful New Labour Government - did he not do anything to prevent the phone hacking, or initiate an investigation into it when this cruel crime became public knowledge? "I could say with utmost confidence that Alan Johnson is more professed in the ways of Labour politics, including the representation of realistic desires held by most people in the country"
I refer you to the important question above. I have to confess that I don't know what New Labour stands for anymore - with the exception of racism of course - as all the political parties seem to be following the same principals and policies. "I am truely sorry that you feel as if Health is not an important part of society. I am assuming you believe that fiscal controls are more important"
I am totally at a loss here. The DNA of my thread was merely pointing out the unfairness of the selection of those in key decision making positions - in the case of New Labour - in the Shadow Cabinet. Various political parties - New Labour included - have deliberately by passed senior and experienced Minority Ethnic British Citizens for key decision making positions within their parties; especially in the Cabinet. The Equality and Human Rights Commision alongside the Electoral Commission should be redressing this problem. What possible excuse can these political parties have for continuously doing this? 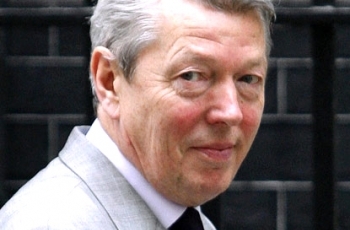 Alan Johnson has had numerous chances and, in my view, has failed as the Home Secretary because of his failure to deal with the newspapers hacking of telephones. "I shall give you this question: How would we be able to spend money and invest in prosperity if everybody became ill?" This is a hyperthetical question. Its origin and destination is unclear. Kindly clarify it a bit. "Perhaps the important matters of goverment, state-building and social development are just too boring for you." What is boring about government matters is that all the political parties are copying each other. There is no variety in politics anymore. I can't believe a Conservative Government would ever have been so inspired by a New Labour Government. With a travelling saleman as their leader (David Cameron - Conservative), I am not surprissed that he has to concede to the supply and demand of the moment.